Quarter century mark doing business. 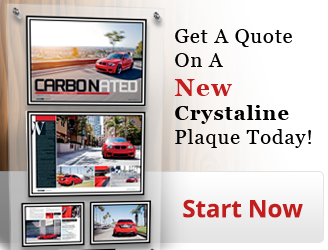 As a cherry on top on 12/27/11 we also just sold our millionth custom laminated wall plaque. That may seem something worth celebrating; for us it’s another tick off the ever growing box of accomplishments. If you’ve never heard of In The News before maybe it's time you get acquainted. If you’re scratching your head and you’re sure you have never heard of the company In The News before that's alright you would not be the first. But what I can guarantee is you have likely seen our product in offices, restaurants, homes, businesses any where there is wall space. 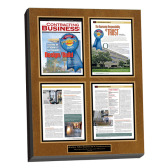 Since 1987 In The News has been producing custom wall displays (wall plaques) from newspaper and magazine articles. If you have been featured in print then we want to know about it. In our 25 years we have done work for businesses, sports figures, publishers, restaurants, hobbyists and more all across the United States. Okay so there has been a newspaper article about you and you figure you might like it laminated. Why should you choose In The News? Because In The News likely already knows about your newspaper article. 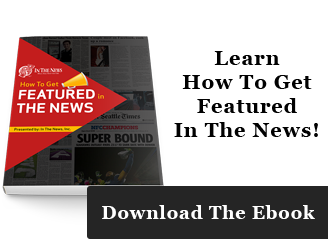 With a subscription to more than 6,000 publications including every major daily newspaper in America, In The News can have your article done for you and ready to go. There need be no schlepping out your scissors and sending along a folded up copy of your article to the company. In The News already has you covered. We have a 22,000 square foot office in Tampa Florida. The production line at In The News is top tier and operated by a staff many of whom have been working there for 15 or 20 years. In addition the facilities at In The News include paste up artists in their design studio, a wood shop with skilled artisans, and a top of the line engraving system. With a staff of almost 100 and an annual production last year of more than 40,000 custom laminated wall hangings you can bet that the team at In The News are also in the know for how to get the work done. Our one millionth unit was actually a wonderful testament to the type of work we do. The article was for a young man, Kiwan Lawson, he was featured in the Indiana Daily Student. Lawson was an All-American track and field star in college, he is currently a law student, and is now the CEO of his own company; Music Legion Group. It is this young man’s success which so brilliantly exemplifies why we are so well regarded. The publication is a small student daily paper where the article was featured. If you get into any paper we know it's a big deal. We all have our little pieces of news which cross our lives from time to time. 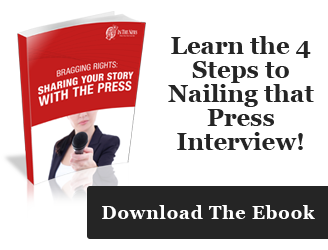 The ability of a company to be able to chronicle, preserve, and share whatever your news you would like to preserve may seem like something of a lost art form; until you want to do the preservation. Then calling on a business like In The News makes all the sense in the world.